Pearl Izumi's Women's P.R.O. Pursuit Short is one of their most technically-advanced offerings to date with a body-sculpted anatomic shape and slightly longer inseam for increased muscle support. It's constructed from P.R.O. Transfer In-R-Cool® fabric with coldblack® technology for optimal cooling and sun protection. A wide waistband stays secure without restriction, and the elastic leg bands with silicone elements hold things in place so you can focus on your ride instead of your hems. The anatomic multi-panel design and seamless P.R.O. 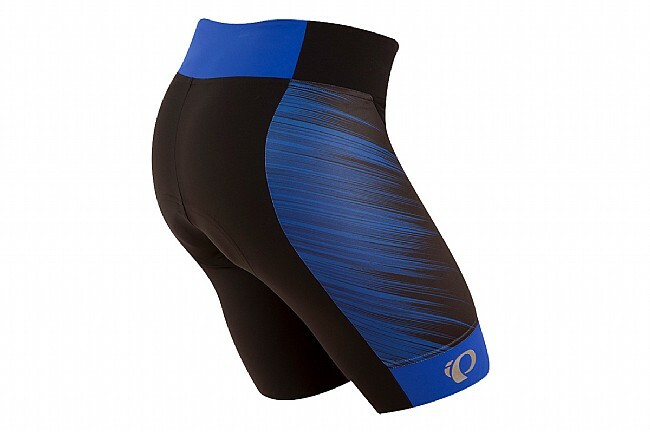 Pursuit 1:1 Chamois® add to the short's excellent comfort. Reflective elements for low-light visibility. 9" inseam (size Medium). Size was right on. Very comfortable short with great stretch! At 4500 road miles each year, this is my only brand of shorts that I'll wear! Absolutely worth the money - high quality product. A LONG time ago tried to save some $$ and purchase a less expensive brand. Wore them for less than 100 miles and promised myself that I was NOT going to that again! Quality PI brand shorts make longer rides far more enjoyable!